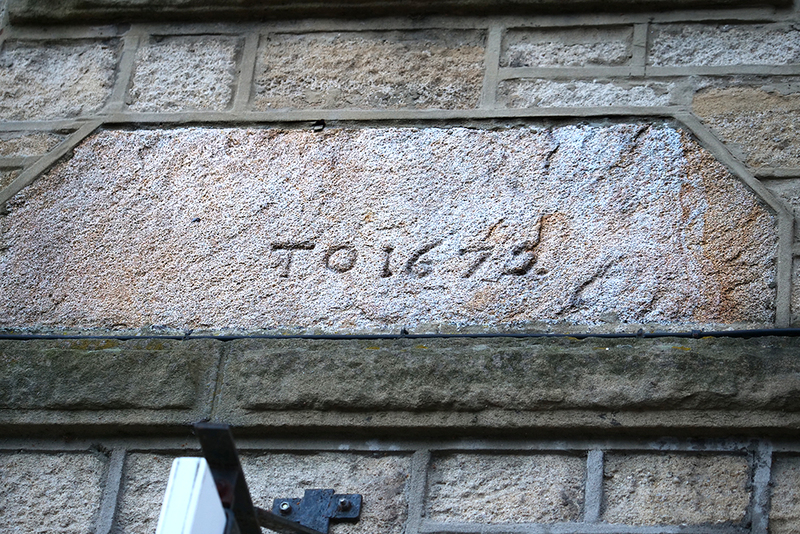 The picture clues are stone plaques on the facing wall of the County Mills Building on the south side of Priestpopple. You might be able to see two of them in the picture above the white doorways on the left-hand side, and the third to the right of the restaurant that was open when the picture was taken. The building currently houses Gibson’s Solicitors and (sometimes) a restaurant. It was originally a grain warehouse until it was converted to retail units and flats in the mid 1980s. The building was occupied by West Cumberland Farmers’ Trading Company from at least 1971. 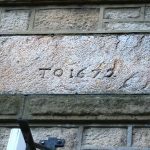 The significance of the date on this stone plaque is not (yet) known. Does it relate to something about the Northumberland Brewery, or to an earlier use of the site? Information provided by Mark Benjamin and Colin Dallison. If you have further information to share, try the Leave a Reply feature below that we are experimenting with this month. There is a very good report in Newcastle Daily News, 13 Feb. 1885, p.8, col.3 on the new mill building and its operating machinery. 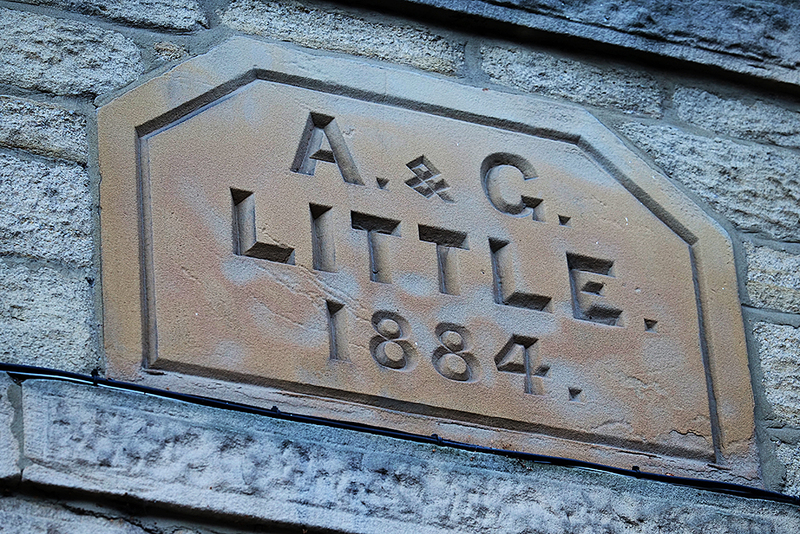 A&G Little had had a corn milling business in Allendale from c. 1868, but by 1884 had found the premises inadequate. They bought the old brewery site in Priestpopple, demolished the brewery buildings and erected completely new premises on the site, installing the latest milling machinery designed and made by Joseph Barron of Leeds, using the new roller or Hungarian system of grinding, sifting and grading the flour. The main mill building was 84 feet long and 28 feet wide, rising to six storeys. There was also a warehouse of the same dimensions, separated from the mill by iron doors and a ‘screen room’ 14 feet square. Full details follow of the milling process, power and water sources (the latter supplied by ‘ a spring belonging to the place’). The whole milling process could be operated by just 3 men. 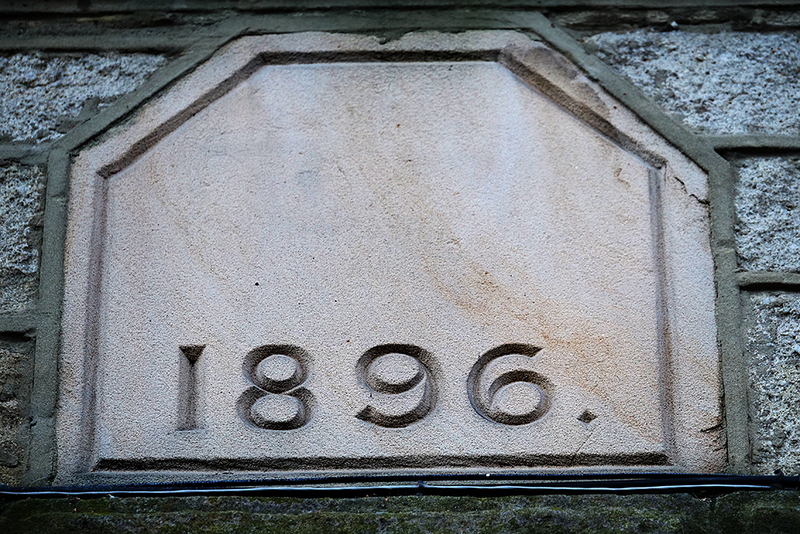 This report suggests that the building had only just been completed by the end of 1884/first month of 1885. 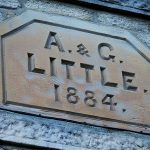 There is no such report for the extension to the building, but at a ‘lively’ meeting of the Hexham UDC (of which |Andrew Little was a member) on 23 November 1896, mention is made of Councillor Little’s new building in course of erection in Priestpopple’. 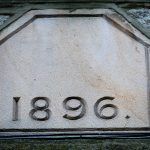 No further details are given, but this would seem to account for date on the second date stone, which did not mark the end of their operations. The report above of the old malthouse collapsing in 1901, suggests that at least some of the old brewery buildings had survived Messrs Little’s demolition in 1884 – perhaps near where Portnall’s solicitors is now situated? More work needed on this matter. 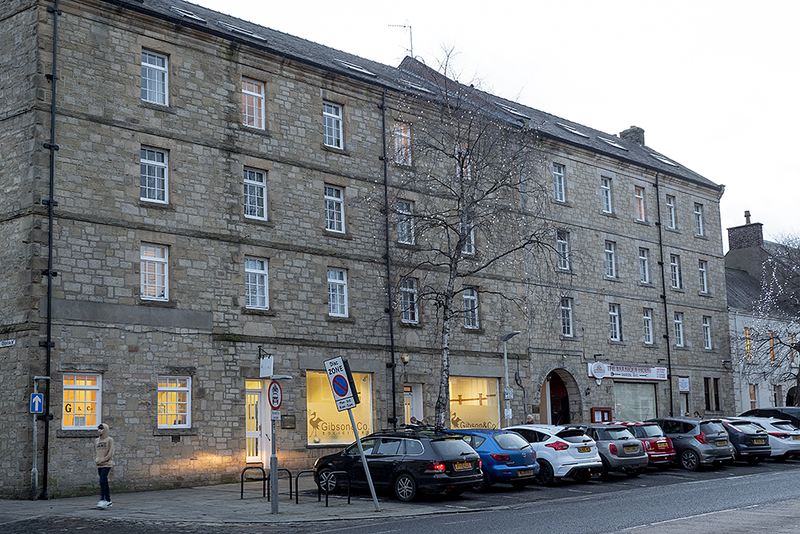 In the following April we also learn that Messrs Little ‘of the Flour Mills’ were seeking tenders for the erection of six houses to be built in Kiln Lane, Hexham. [Hexham Courant, 17 April 1897, p.2]. Interesting additional information. I found further information in one of Colin Dallison’s files saying that the building was: “Armstrong’s brewery until 1884, when Little’s flourmill was added on the right.” So, that correlates with Richards comments above.